When Dudley Borough Council decided to replace the old retaining walls to the War Memorial in Brierley Hill they were keen to use local materials and rebuild it exactly as it was designed. Ketley were asked to take detailed measurements of the existing bricks in the old wall and to produce drawings from which purpose-made specials were then made up. 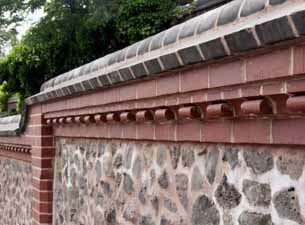 All the bricks and ornamental bricks within the wall are non standard 86mm and had to be specially made. 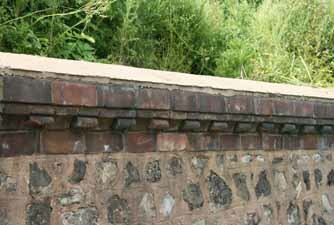 The images above show the old wall and the new wall with the bespoke Ketley bricks.